TELUS Pik TV: Is here! 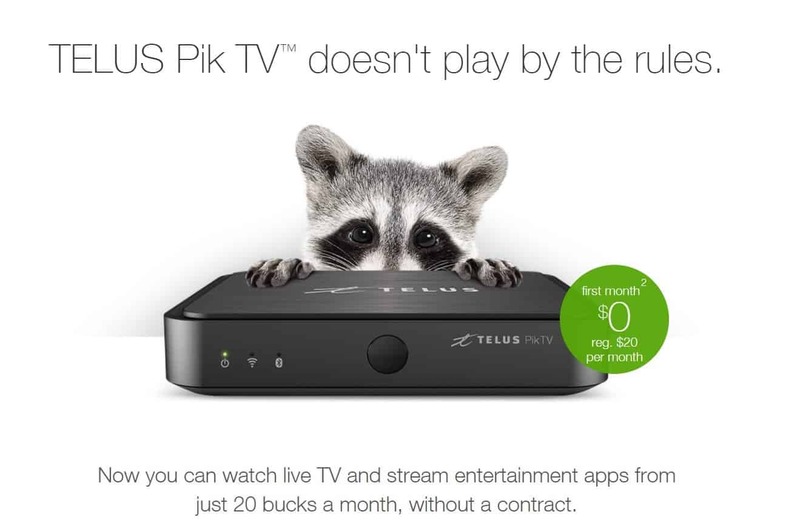 TELUS Pik TV doesn’t play by the rules of traditional TV – it is a self-serve, entertainment solution that makes it easy and affordable for TELUS Internet customers to get their favourite streaming apps as well as the select live TV they miss, all in one place. The Pik TV media box ($100 to own with 30 days satisfaction guarantee) connects customers to the world of Android TV™, providing direct access to live TV, an On Demand library and the Google Play Store, where customers can download their favourite entertainment apps like Netflix and YouTube. Customers build and manage their own channel line-up, paying for the individual channels they want to watch. There are no contract requirements, and the media box is installed by the customer themselves, right out of the box. 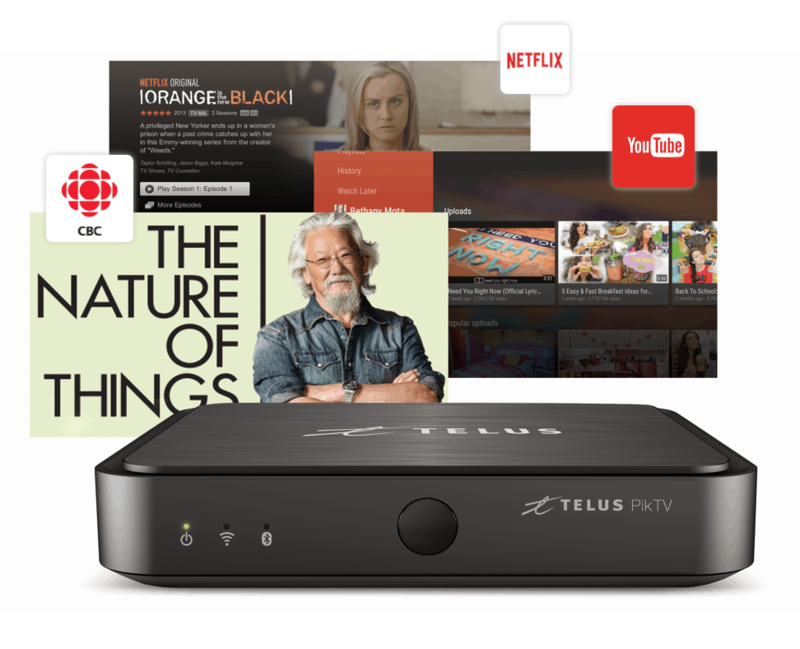 The TELUS Pik TV™ media box connects you to the world of Android TV™. Access your live TV and On Demand channels, as well as popular streaming apps3 like Netflix and YouTube™ – all without switching devices. Take your shows with you. Included with your TELUS Pik TV subscription, the Pik TV app5lets you watch select shows on your tablet or smartphone. Access to some channels requires TELUS Internet. Enjoy fast and consistent home Wi-Fi for improved streaming. Plus, watching live and On Demand TV through the Pik TV media box will not contribute to your internet data usage. Come in to see if the Rural Smart Hub is right for you!